Pianist Simon Trpceski, a Macedonian musical treasure, will play a recital of Schubert and Liszt worksTelegraph, UK). The recital will open with Franz Schubert’s German Dances, a suite of light dances of varying character and style, performed as one long work. Following is Schubert’s epic Wanderer Fantasy, a technically demanding work written when the composer was just 25 years old, that uses dense textures to compress an entire orchestra into the piano keyboard. Franz Liszt’s transcription and arrangement of J.S. Bach’s Prelude and Fugue in A Minor (BWV 543) follows, demonstrating Liszt’s understanding of organ-playing and the ways in which the organ’s many voices can be replicated—or at least emulated—using the piano. The next Liszt composition on the program, inspired by a Schubert suite, is Soirees de Vienne, valse caprices. The transitions and enhancements Liszt made to these nine brief Schubert waltzes are as interesting and entertaining as the underlying works themselves. The final work on the program, Liszt’s Hungarian Rhapsody No. 2, is often known through its orchestral transcription. It showcases the composer’s rich knowledge of, and deep affection for, the folk music of his native Hungary—perhaps surprising given that Liszt’s family moved to Vienna when Franz was just 10 years old and the composer rarely returned as an adult. Simon Trpceski was born in the Republic of Macedonia in 1979. He studied with Boris Romanov at the University of St. Cyril and St. Methodius in Skopje, Macedonia, and now resides and serves on the music faculty there. 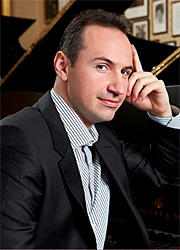 In addition to winning several international piano competitions over his career, Trpceski received the Young Artist Award by the Royal Philharmonic Society (UK), the Presidential Order of Merit from the president of Macedonia, and the title “National Artist of the Republic of Macedonia”—the first artist granted this title. In addition to solo recital and festival performances worldwide, Trpceski has played with leading orchestras including the London Philharmonic, New York Philharmonic, Los Angeles Philharmonic, San Francisco Symphony, Royal Concertgebouw, Russian National Orchestra, Hong Kong Philharmonic, and the Sydney and Melbourne Symphonies. He has recorded music of Tchaikovsky, Stravinsky, Rachmaninoff, Chopin, Debussy, and others for the EMI label. His official website, with content in English, is trpceski.com. Tickets for Simon Trpceski, piano on Sunday, April 14 at 3:00 p.m. in Hertz Hall are priced at $46.00, subject to change. Tickets are available through the Ticket Office at Zellerbach Hall; at (510) 642-9988; at www.calperformances.org; and at the door. Half-price tickets are available for UC Berkeley students. UC faculty and staff, senior citizens, other students and UC Alumni Association members receive a $5.00 discount (Special Events excluded). For select performances, Cal Performances offers UCB student, faculty and staff, senior, and community rush tickets. For more information about discounts, go to http://calperformances.org/buy/discounts.php or call (510) 642-9988. Sunday, April 14, at 3:00 p.m.
Tickets: $46.00, subject to change; available through the Cal Performances Ticket Office at Zellerbach Hall; at (510) 642-9988; at calperformances.org; and at the door. The 2013-14 season marks the 25th annual series of concerts by the American Bach Soloists (ABS). To honor their illustrious accomplishments, and looking forward to the next twenty-five years, artistic and music director Jeffrey Thomas and ABS—“some of the greatest period-instrument players in the world” (San Francisco Classical Voice)—present a season celebrating the mastery of Johann Sebastian Bach. All of the 25th Season concerts will feature the celebrated American Bach Choir, which “sets the standard in choral singing” (SFCV). Rarely heard compositions of beauty and depth will be heard alongside more familiar masterworks, all performed to the highest standards by the best early music specialists, the credo of ABS since its founding in 1989. The celebratory season will also feature the return of several ABS traditions that audiences have come to love. 2013-14 opens in style with the annual ABS Gala at St. Stephen’s Church in Belvedere, California, on September 21. This season’s Silver Soirée will be a festive kick-off event with an extraordinary concert program, fine wine and dining, and fundraising auction. Following the greatest attendance marks in the history of this beloved tradition, ABS’s annual performances of Handel’s Messiah in San Francisco’s awe-inspiring Grace Cathedral return on December 11 & 12. A third performance of the enduring masterpiece will be performed in the Mondavi Center for the Performing Arts at UC Davis on December 15. ABS’s instantly sold-out 2012 Christmas concert at St. Stephen’s Church was such a tremendous success that another special program has been added to the schedule in the new season. On December 14, An ABS Christmas will feature holiday-themed works in the beautiful, candlelit space where ABS was born in 1989. The heart and soul of the 2014 subscription season are three extraordinary concert programs featuring masterworks by ABS’s namesake—Johann Sebastian Bach. In January, Maestro Thomas and ABS will present an all-Bach program including Tönet, ihr Pauken, BWV 214 (a cantata featuring music that eventually became part of the “Christmas Oratorio”); Orchestral Suite No. 2 in B Minor, BWV 1067; the famous and always popular Magnificat, BWV 243; and Herr Gott, dich loben alle wir, BWV 130, a fantastically extroverted cantata composed for the Feast of St. Michael and All Angels. Three of the works call upon especially heraldic trumpet ensembles, and the Orchestral Suite will feature baroque flutist Sandra Miller, whose playing is noted for its “mellow, quietly penetrating tone” and whose performances are described as “models of confidence and unbroken steadiness” (The New York Times). For this program, the audience will be invited to sing along on the final chorale of Cantata 130, bringing back a hallmark of ABS’s cantata performances over the years. In February, the Bach celebration continues with the composer’s Missa Brevis in G Major, BWV 236; Orchestral Suite No. 1 in C Major, BWV 1066; and Laßt uns sorgen, laßt uns wachen, BWV 213 (“Hercules at the Crossroads,” a cantata comprised of arias and duets that were later utilized in Parts II, III, & IV of the “Christmas Oratorio”). The April concerts, titled Bach & His Legacies, will feature motets and choral works by J.S. Bach, along with choral masterpieces by Mendelssohn and Brahms, two composers who were profoundly influenced by the Cantor of Leipzig and sought to emulate his style. The ABS Festival & Academy—known as San Francisco’s Summer Bach Festival—will bring the 25th Season celebrations to an exciting close as ABS musicians and members of the 5th annual ABS Academy present the 2014 Festival, titled “Bach’s Inspiration.” Bach was greatly influenced by the works of Vivaldi, Buxtehude, and members of his own highly esteemed family of composers. As a young boy, he would seek out scores of compositions by others and, simply through the act of making manuscript copies, he gleaned important insights into the techniques utilized by their composers. Later in life, he would transcribe concertos by the immensely successful Antonio Vivaldi, arranging them for keyboard alone, and through this process he studied Vivaldi’s methods of organizing a musical work into repeatable fragments of melodic and harmonic material. That “architectural” device would become the primary mechanism for Bach’s own language of musical rhetoric. He idolized the Danish composer Dietrich Buxtehude, so much so that he traveled more than 250 miles on foot to hear concerts given by Buxtehude in the North German city of Lübeck, extending a leave from his employer without permission for more than two months. Bach also greatly revered the compositions of his own family members who had already well established the family’s reputation as the most important musical dynasty in Germany. By performing a broad array of works by those who influenced Bach the most—including concertos and vocal works by Vivaldi and Pergolesi, cantatas and chamber music by Buxtehude, liturgical works by Bach’s forebears, and even music by Frederick the Great, who inspired Bach’s Musical Offering—and presenting works by Bach that clearly show their derivations from those musical stimuli, the American Bach Soloists 2014 Festival & Academy will offer a unique position of discovery of the contexts and magnificent results of Bach’s egoless veneration of the artistic values of his world. The 2014 Festival will open on Thursday, July 10, and continue through Sunday, July 20. Works to be performed include Bach’s Concerto for Three Harpsichords, Christ lag in Todesbanden (Cantata 4), and one of Bach’s earliest cantatas, Gott ist mein König (Cantata 71), an extravagant work scored for five “choruses” of instruments and voices. Distinctive features of the ABS Summer Festival are the annual performances of Bach’s towering Mass in B Minor and more than a dozen free events. The Woodstock Mozart Festival presents its 27th season featuring three lively concert programs July 27–August 11, 2013 at the Woodstock Opera House, 121 W Van Buren St., Woodstock IL. Single tickets go on sale April 1. July 27 and 28: San Francisco Symphony Resident Conductor Donato Cabrera and award-winning young pianist Vassily Primakov, touted by BBC Music Magazine as “a Mozartian to the manner born, fit to stand as a role model to a new generation,” join for a program including Bartók’s Rumanian Dances; Mozart’s Piano Concerto No. 17, K. 453; Stravinsky’s Concerto in E-flat Dumbarton Oaks; and Haydn’s Symphony No. 85 La Reine. August 3 and 4: The Festival’s principal cellist Nazar Dzhuryn and French saxophonist Daniel Gauthier, a two-time Echo Klassique Award (European Grammy) Winner, join conductor Igor Gruppman to perform Mozart’s Symphony No. 17, K. 129; Haydn’s Cello Concerto No. 1 in C Major, Hob. VIIb:1; Mascagni’s Intermezzo from Cavalleria Rusticana; Ibert’s Concertino da Camera; Bizet’s Adagietto from L’Arlésienne Suite No. 1; Schulhoff’s Hot-Sonate; and Itturalde’s Pequeña Czarda. August 10 and 11: Violinist Igor Gruppman (who also conducts) and violist Vesna Gruppman return by popular demand after their 2012 Festival participation, performing Mozart’s Divertimento for Strings, K. 138 (125c); Haydn’s Symphony No. 45 Farewell; and Mozart’s Sinfonia Concertante K. 364 (320d) for violin and viola. The 2013 Woodstock Mozart Festival takes place July 27–August 11, Saturdays at 8 p.m. and Sundays at 3 p.m. at the Woodstock Opera House, 121 Van Buren Street, Woodstock, Illinois. Pre-concert introductions take place one hour before each of the performances. Tickets are $30–52, $25 for students, per program. Single tickets go on sale April 1 through the Woodstock Opera House Box Office at 815-338-5300 or at woodstockoperahouse.com. For more information about the Festival, visit mozartfest.org. The Woodstock Mozart Festival’s first performances took place in 1987 at the restored 1880s Woodstock Opera House in an environment reminiscent of Mozart’s day. From the beginning, the Festival showcased internationally recognized guest artists and conductors during its three weekends of concerts in late July and early August. The Festival’s goal is to maintain a superb orchestra that delivers extraordinary performances to inspire and educate audiences of all ages through a chamber orchestral program of an outstanding caliber, which is centered on Mozart. The Woodstock Mozart Festival is a member of the League of American Orchestras and the Illinois Arts Alliance. Funding is provided by the Illinois Arts Council, the Gaylord and Dorothy Donnelley Foundation, the MacArthur Fund for Arts and Culture, the AptarGroup Charitable Foundation and private and corporate contributions. The National Philharmonic Singers, under the direction of conductors Stan Engebretson and Victoria Gau, will present a free spring concert on Saturday, April 20, 2013 at 8 pm at Christ Episcopal Church, 107 South Washington Street, Rockville, Maryland. The concert will feature Benjamin Britten’s "Choral Dances" from Gloriana, which was composed for the coronation of Queen Elizabeth II in June of 1953 and was performed at the Royal Opera House. The Singers will also perform the Coronation Anthem No. 1, "Zadok the Priest," George Frideric Handel's great anthem. It was performed during the coronation ceremony of King George II of Great Britain in 1727 and has been sung at every coronation service since, including that of Queen Elizabeth II in June of 1953. The National Philharmonic Singers, led by Stan Engebretson and Victoria Gau, is a chamber choir and one of several performing ensembles of the National Philharmonic. The group promotes works suited for smaller ensembles, whether with accompaniment or a cappella. Its repertoire ranges from 15th to 21st centuries, and it often premieres new compositions by local composers. The concert is free, but donations in support of the Community Ministries of Rockville will be gratefully accepted. Christ Episcopal Church is located at 107 South Washington Street in Rockville, MD. Directions to the church may be found at christchurchrockville.org or by calling the church at 301-762-2191, ext. 3. For more information, please visit nationalphilharmonic.org or call 301-493-9283, ext. 116. The Music Institute of Chicago announces auditions for the Academy, an elite training program for gifted pre-college string players and pianists seeking professional careers, for the 2013–14 academic year. Days/Dates/Times/Locations: Thursday, April 25, 3–8 p.m., Thoresen Performance Center, 300 Green Bay Rd., Winnetka, Ilinois; and Sunday, April 28, 12–4, Lake Forest Campus, 40 East Old Mill Road. Timothy W. Foo, chair of the Board of Trustees of the San Francisco Conservatory of Music, announced today that David H. Stull has been appointed president of the San Francisco Conservatory of Music. He will assume the position on July 1, 2013. David H. Stull is currently dean of the Conservatory and professor of brass studies at Oberlin College, where he has exhibited great vision with a passionate commitment to artistic excellence and the creation of academic programs that prepare musicians for successful careers in the ever-changing cultural and economic environment of the 21st century. Stull comes to San Francisco with a demonstrated record of decisive leadership skills, financial acumen and academic creativity, together with a dedication to the highest artistic standards. At Oberlin, he helped secure over $40 million in donations, including $21 million for The Kohl Building, a project spearheaded to completion entirely under his leadership, an additional $14 million for dedicated professorships, program support, scholarships, gifts-in-kind, and pilot grants, while securing collections and instrument donations that exceed $8 million in value. During his tenure, the Conservatory launched a series of new programs, including an intensive entrepreneurship curriculum, a new record label, and fully sponsored orchestral tours to Carnegie Hall, Walt Disney Concert Hall and the People’s Republic of China. He also secured the resources for a world class recording studio and a series of artistic initiatives, including a Grammy-nominated recording. Most recently he launched Music in America, a critically acclaimed program to provide music education to underserved schools throughout the Nation. In addition to providing rigorous professional training, these added endeavors were created to furnish young artists with the intellectual capacity, career management skills and professional experience necessary to prepare them for thriving careers in the 21st century. In recognition of the success of its comprehensive and cutting-edge academic programming and contributions to American education, President Barack Obama presented the Oberlin Conservatory of Music with the National Medal of Arts, which Dean Stull accepted on behalf of the institution in February 2010. David will move to San Francisco with his wife, Jessica Downs, and their two daughters Madeline and Emily. To learn more about the San Francisco Conservatory of Music and David H. Stull, please visit www.sfcm.edu. The Handel and Haydn Society (H&H), America’s oldest continuously performing arts organization, comes to Cal Performances for two nights of early classical music. On Friday, April 26 at 8:00 p.m., the Society performs a mixed bill of Baroque works, including Vivaldi’s ever-popular The Four Seasons. The following night, at 7:00 p.m., the Society performs Handel’s 1751 oratorio Jephtha. H&H premiered this work in the US in 1867, and it has not been performed since. With Berkeley as its first stop on its West Coast tour, Cal Performances concertgoers will be the first audience to hear this work performed in the U.S. in nearly 150 years. The Handel and Haydn Society was founded in 1814 in Boston by a group of merchants who wanted to improve the quality of music in the city. Originally a chorus, the modern group features both an orchestra and choir that play both Baroque and Classical period pieces. The iconic group has a history of performing the American premieres of some of the most popular classical works including Handel’s Messiah in 1818, a cornerstone in their annual repertoire, Verdi’s Requiem in 1878 and Bach’s Mass in 1892. The ensemble has also commemorated some vital moments in history including the end of the Civil War and the Chicago fire. The Handel and Haydn Society has performed for many important dignitaries such as President James Monroe, Grand Duke Alexis of Russia, and Queen Elizabeth II. The modern Handel and Haydn Society has strived to give historically informed performances of vocal and instrumental authenticity by using period instruments specific to the piece that is being played. The group started touring internationally in 1996 and traveled to many esteemed venues such as the Edinburgh Festival, The Proms, and the Haydn Festival in Austria. H&H won its first Grammy Award in 2003 for their recording of Sir Jon Tavener’s Lamentation and Praises with the San Francisco choral ensemble Chanticleer. The ensemble’s current Music Director, Harry Christopher, has been with the group since 2006 and will continue until 2015. Handel and Haydn will celebrate its bicentennial next year starting with their 161st performance of Handel’s Messiah in December 2014 and ending with Messiah in December 2015. The group has a subscription series in their Symphony and Jordan Halls and reaches an annual audience of over 35,000, the largest audience of such historically performed performance in North America. The Handel and Haydn Society is committed to musical education and has provided outreach opportunities to children in eastern Massachusetts. In 1994, the Vocal Apprenticeship Program (VAP) was started to provide in-depth training for talented young vocalists whose family lack the financial resources to pursue private instruction. They also organize Collaborative Youth Concerts that bring singers from different high schools together in performance alongside the Handel and Haydn Society musicians. The Society also sponsors a financial award given to high school graduates of the VAP program who intend to continue onto a professional musical career. Tickets for the Handel and Hayden Society on April 26 at 8:00 p.m. and April 27 at 7:00 p.m. in First Congregational Church are priced at $52.00 and are subject to change. Tickets are available through the Ticket Office at Zellerbach Hall; at (510) 642-9988; at www.calperformances.org; and at the door. Half-price tickets are available for UC Berkeley students. UC faculty and staff, senior citizens, other students and UC Alumni Association members receive a $5.00 discount (Special Events excluded). For select performances, Cal Performances offers UCB student, faculty and staff, senior, and community rush tickets. For more information about discounts, go to http://calperformances.org/buy/discounts.php or call (510) 642-9988. Sightlines: Pre-concert talks with the artists will occur on April 26, 7-7:30. This event is free to ticket holders. PARMA Recordings is pleased to announce the 2013 PARMA Student Composer Competition, the second in a series of annual competitions for student composers. Ten winners will be selected to have their work published in the 2013 PARMA Anthology Of Music, and one Grand Prize Winner will be selected to have their piece performed at the PARMA Music Festival (August 15-17, 2013 in Portsmouth NH). All ensemble, rehearsal, and publicity costs will be completely subsidized by PARMA, and the performance will be included in all promotional materials for the Festival. There is no fee for entry. The call for scores and full submission details will be distributed on March 29th, and submissions will be accepted from April 1st until April 30th. More information will be included in the official Call For Scores and on the PARMA Web site. Last year's competition produced an outstanding response, with hundreds of students submitting works for consideration. The ten winners are featured in the 2012 PARMA Anthology of Music, and Grand Prize Winner Quinn Dizon's Awakening was recorded by Clayton Hoener, Peter Sulski, Ron Lowry, and Hannah Shields in August 2012 and is featured on the upcoming album PERCEPTIONS (Navona Records). The 2013 PARMA Music Festival will be held on August 15-17, 2013 in Portsmouth NH and features Grammy-winning clarinet virtuoso Richard Stoltzman, marimba soloist Mika Stoltzman, the Portsmouth Symphony Orchestra (PSO) and the PARMA Orchestra with conductor John Page, and many more. The Festival will also serve as the official host for the 2013 Region 1 Conference of the Society of Composers Incorporated (SCI), one of the largest composer-service organizations in the country. Daytime and evening performances, listening parties, and panels will be held at multiple venues in Portsmouth over the three days, highlighted by a closing concert event at The Music Hall on Saturday, August 17 featuring the world premieres of "Elegy For Clarinet & Orchestra" (1949) by Lukas Foss with Richard Stoltzman and the PSO, and "Streams" (2010) by Martin Schlumpf with David Taylor, Matthias Müller, and the PARMA Orchestra. Both orchestras will be conducted by Mr. Page. The eleven-city tour includes concerts in New York, Chicago, Los Angeles and more, April 5-20. Additional tour stops include: Santa Barbara, CA (April 5), La Jolla, CA (April 6), Kansas State University (April 9), Melbourne, FL (April 12), Gainesville, FL (April 13), Austin, TX (April 16), Urbana, IL (April 18), and Ann Arbor, MI (April 20). The tour follows on the heels of Balsom’s Boston debut at the Summer Arts Weekend in July 2012, and her Hollywood Bowl debut in August. Alison is one of the few classical artists who has established a mainstream presence around the world – she has performed on Late Night with David Letterman and A Prairie Home Companion in the U.S., and in her native Britain she played for nearly 200 million viewers at the Last Night of the Proms and is a fixture of daytime TV and newspapers. Alison has had numerous successful collaborations with the Scottish Ensemble, and their Italian Concertos album was one of the bestselling classical albums of 2010. Also, Violin Sonata in F minor. Tianwa Yang, violin; Romain Descharmes, piano; Patrick Gallois, Sinfonia Finlandia Jyvaskyla. Naxos 8.572662. Because there’s a rule in the music industry that all violinists must record the Beethoven, Brahms, Violin Concerto in E minor. At Amazon I quit counting at a hundred, and I had quite a ways to go. The point is that somebody looking for a first-choice disc or just something to line up on the shelf next to a few first-choice discs may find the assortment of possibilities rather daunting. And the question here is, How does violinist Tianwa Yang’s interpretation, Maestro Patrick Gallois’s conducting, the Sinfonia Finlandia’ playing, and Naxos’s sound stack up against formidable competition from the likes of Perlman (EMI), Heifetz (RCA), Zukerman (Sony), Szeryng (Philips), Chung (Decca), Chee-Yun (Denon), and a slew of other equally recommendable folks? The answer: Ms. Yang does all right, if maybe not quite in the highest echelon. The still-youthful Ms. Yang, raised in China and now residing in Germany, began playing the violin in 1991 at the age of four, received her first media attention at the age of ten, made her first CD in 2000 at the age of thirteen, and debuted on stage in Europe in 2001. The present Mendelssohn disc makes the eighth album in her discography, so she’s not exactly a newcomer, and she does know what she’s doing. Ms. Yang opens the show with the Violin Concerto in E minor, Op. 64, which Felix Mendelssohn (1809-1847) premiered in 1845, his last large orchestral work. Audiences pretty much loved it from the outset, and it’s been one of the most-popular staples of the violin repertoire ever since. 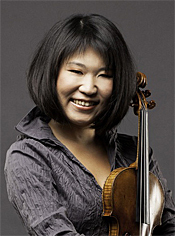 The violin enters immediately, without introduction or fanfare, and Yang takes it head-on. Indeed, she takes all three movements at a heady clip, outpacing all of the other recording artists I had on hand for comparison except Heifetz, who sprints to the finish line ahead of everyone. Not that Yang’s performance ever sounds winded or short-breathed, just quick and lively. Anyway, Yang has a good grasp of the situation, producing a heady combination of excitement and passion in the faster sections and much beauty in the slower ones. She obviously possesses a remarkable technique, and she displays her virtuosity at every turn. Moreover, while her propensity is for lively rhythms and zippy tempos, she leaves enough spaces in her phrasing to allow the music to breathe freely and come alive. This isn’t a rush job but one of accomplished dexterity in the manner of Heifetz. The second movement glides effortlessly by with a lovely luminosity. Then the finale exudes all the light, bouncy spirit one could hope for, if maybe a little too much for some traditional listeners. Mendelssohn was only thirteen when he wrote the Violin Concerto in D minor, leading some critics to dismiss it out of hand. Nevertheless, it has its charms, not the least being its characteristically classical tone and structure and its slightly plaintive, sometimes melancholy solo passages. Yang continues her emotionally compelling reading in an effective Andante and a jaunty Allegro conclusion. The final selection on the disc is the Violin Sonata in F minor from 1833 in which pianist Romain Descharmes joins Ms. Yang. While neither of the disc’s companion pieces can touch the great Violin Concerto in E minor, they offer pleasant variety and accomplished playing, particularly in the Sonata’s whirlwind finish. Naxos recorded the two concertos in 2010 at Hankasalmi Church, Jyvaskyla, Finland, and the sonata in 2011 at Clara-Wieck Auditorium, Sandhausen, Germany. They obtained a nicely balanced sound, the violin well integrated with the orchestra and not completely dominating it as we sometimes hear. The midrange appears clean, the bass adequate to the occasion, and the dynamics steady. Maybe the sonics aren’t in the highest ranks of audiophile stardom, but along with a moderate degree of orchestral depth, they exhibit a welcome realism. Chamber works by Leos Janacek, Ruth Crawford Seeger, and Paul Hindemith. Pacifica Quartet. Cedille CDR 900000 092. I admit I find it hard to concentrate for any amount of time on much twentieth-century chamber music. Largely, this is due to my having the attention span of a gnat; partly, it’s because I often find the music repetitious and unengaging. But I must also admit I found the three pieces on this Cedille album fascinating and appealing, particularly in the hands of the Pacifica Quartet, fascinating and appealing enough to keep me seated between the speakers for over an hour. The three composers involved are roughly contemporaneous, the works coming from the period as the title says “Between the Wars.” Certainly, the First World War changed the entire world in general as well as the world of music. Mainly gone was the lush, lyrical Romanticism of the nineteenth century, replaced by the more daring, more experimental, sometimes atonal, sometimes disharmonic music of the twentieth. The Janacek, Seeger, and Hindemith pieces come from a period less than a decade apart, from 1922 to 1931, and they reflect a new age. Of the three works, the opening one, Janacek’s String Quartet No. 2 from 1928, is the most traditional. Called “Intimate Letters,” its four movements convey the composer’s feelings toward a loved one in his life, an affair beyond his marriage that he may or may not have consummated but according to his letters was apparently quite intense. 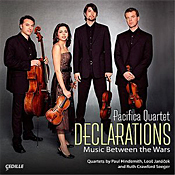 The music alternates between strong, dramatic emotion, tranquil contemplation, and not a little melanchoy, some changes of moods occurring within seconds, which the Pacifica Quartet are quick to relay to the listener. The Seeger piece from 1931 that follows, simply called String Quartet, is more atmospheric and moody, most of it sounding eerily sinister in its minimalist tone. The final work, Paul Hindemith’s String Quartet No. 4 is the earliest of the compositions, premiered in 1922, and it is perhaps the most unconventional of the trio in that it can sound both modern and Romantic by turns; but, ironically, it is also the freer in its composer’s flowing, unscheduled, yet strict musical notations. The Pacifica Quartet--Brandon Vamos, Simin Ganatra, Masumi Per Rostad, and Sibbi Bernhardsson--play with a welcome finesse and intense enthusiasm. And the Cedille engineers--Judith Sherman and Bill Maylone--capture the sound quite realistically, with a strong sense of presence and without a trace of forwardness. For fans of chamber music or for folks looking toward something a little different, Declarations makes an arresting listen. Also, Nights in the Gardens of Spain. 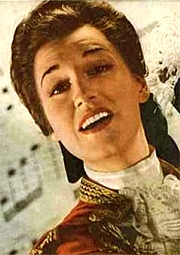 Amarito Peris de Pruliere, mezzo-soprano; Yvonne Loriod, piano; Manuel Rosenthal, Orchestre du Theatre National de L’opera de Paris. High Definition Tape Transfers. 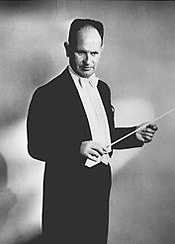 Whenever I see or hear the name of French composer and conductor Manuel Rosenthal (1904-2003), I Gaîté Parisienne Rosenthal put together in 1938 from bits and pieces of Offenbach’s works. I also think of the several recordings Rosenthal made of the ballet, especially the one he did for EMI late in his life. 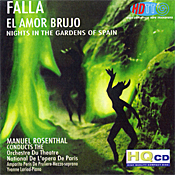 But I don’t think of things like El Amor Brujo or Nights in the Gardens of Spain by Manuel de Falla (1876-1946), the two numbers we get on this remastered HDTT (High Definition Tape Transfers) HQCD. Rosenthal recorded the music in the late 1950’s for Westminster, and HDTT took the present copy from a Westminster 4-track tape. I had never heard the recording before, and I don’t believe Westminster or anybody else ever released it on CD until HDTT came along. Since both the performances and sound are worth hearing, one might view the HDTT disc as something of a godsend. First up is El Amor Brujo (“Love, the Magician”), the rather grim tale of a dead, unfaithful husband haunting his former wife and her new lover. The woman’s gypsy friends help her get rid of the ghost through a “Ritual Fire Dance.” Falla presents the story as a pantomime divided into three major parts for mezzo-soprano and orchestra, thirteen sections in all, each with its own track on the disc. Rosenthal had a good feeling for the idiom, catching most of the color, excitement, and romanticism of the music. He maintains a strong rhythmic pulse throughout, yet never pushes the tempos or contrasts too far in any direction. He also brings out the rich textures in Falla’s tunes as well as almost anybody. There were times, it’s true, when I thought Carlo Maria Giulini in his justly praised EMI recording with the Philharmonia Orchestra sounded a touch warmer and more loving, but Rosenthal seems a degree more thrilling, making Giulini appear a little too refined. Regardless, it’s close. If anything, Rosenthal’s way with Nights in the Gardens of Spain is even more compelling, or maybe I just like the music more. Here, Falla created a set of three nocturnes for piano and orchestra, each of them depicting a Spanish garden, the music characterizing the type of flora found there. This is some of the most descriptive, evocative music ever written, taking its cue from Debussy as much as anyone. Falla wrote a sumptuous score, and Rosenthal and Westminster did it full justice. Westminster originally released the recording in 1959, and HDTT remastered it, as I said, from a 4-track tape. It sounds quite fine in its newly minted form, as we expect from this source. Burning the recording to an HQCD no doubt helps to retain most of the remastering’s luster. The highs are a tad brighter than I expected but quite realistic in their definition and transient response. The midrange is smooth, natural, and transparent. Bass shows up commendably taut and no doubt represents what Westminster initially captured. Orchestral depth is moderate, and Ms. De Pruliere’s voice seems appropriately lifelike. Although the miking places the piano in Nights a bit forward, it’s OK because it sounds so brilliantly crisp. Most of all, though, the dynamic range is wide, and the impact is impressive. I liked it a lot. Also, Four Shakespeare Preludes. 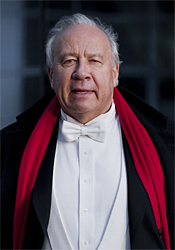 Neeme Jarvi, Orchestre de la Suisse Romande. Chandos CHSA 5117. Here’s another of those composers who was popular in his own day but whose music people forgot once he passed. The Swiss-German composer, teacher, and pianist Joachim Raff (1822-1882) seems to have been more influential than he was enduring, having a greater impact on future classical composers than on his future public. He wrote quite a lot, too: eleven symphonies, nine concertos, and a slew of other things--operas, suites, overtures, preludes, and chamber works--some of it descriptive, much of it Romantic. 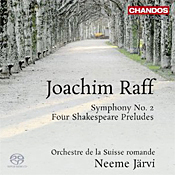 Whatever, Maestro Neeme Jarvi and the Orchestre de la Suisse Romande provide a well-rounded overview of the man’s orchestral output, and, who knows, perhaps if enough people hear Raff’s music, the fellow will come back into vogue. There are certainly enough recordings of his work to earn him a top spot again, so at least some conductors still like him. Raff wrote his Second Symphony in 1866, and it begins with an opening that resembles something by Sibelius, though long before Sibelius, with touches of Wagner and the future Richard Strauss thrown in. I had never heard the work before, so I trust that Jarvi knows what he’s doing. The initial Allegro has a wonderfully rippling gait, warmly melodious and rhythmic. It’s essentially sunny music, energetic at times, with a welcome ebb and flow. There follows a slow movement of both grandeur and grace, beginning with a hymn-like motif of refined beauty. It proceeds to get more dramatic as it goes along but quickly returns to a pastoral calmness. Jarvi appears to give it full due. The third movement scherzo is a rather blustery affair, which apparently Jarvi does his best to modulate. By around the two or three-minute mark, it settles into a far more lyrical mood before returning to its tempestuous roots. In contrast to the preceding movement, the finale starts very slowly and builds up to a lively, almost frenzied middle section, with Jarvi and his players hanging on for dear life. It’s all rather spirited, if somewhat disjointed. While the music has much to offer in bits and pieces, one can see why it didn’t remain in the public’s fancy. Maybe Jarvi’s recording will win it some new friends. The companion works on the disc are four orchestral preludes Raff wrote in 1879, overtures to Shakespeare plays although not really programmatic. We hear the preludes to The Tempest, Macbeth, Romeo and Juliet, and Othello, each piece lasting from eight to fourteen minutes. Rather than actual tone poems, they are more like little atmospheric pieces describing moods and characters in the plays, sometimes filled with sound and fury but signifying little. Still, Jarvi has a way with them that makes them fun, especially Macbeth, with its Mendelssohnian overtones. I admit I enjoyed these little preludes more than I did the symphony. Chandos used their new 24-bit/96kHz technology to record the music in multichannel SACD, although as with most such discs, this one is a hybrid. So you can listen in 5.0 multichannel SACD, 2.0 SACD, or 2.0 CD, the latter from a regular CD player. I listened mostly in 2.0 SACD, which provided a pleasantly full and dynamic sound. Using Victoria Hall, Geneva, Switzerland as their recording venue in 2012, Chandos obtained, as I say, a pleasing if not extraordinary product. The highs seem a bit hard and fizzy on occasion; otherwise, the recording projects a widespread, well-balanced, well-orderer sound, with moderate depth and a smooth overall response. The SACD layer appears to have more impact than the regular CD layer and at times can be quite thrilling. Mezzo-soprano opera star Rise Stevens, who sang with the Metropolitan Opera for more than 20 years spanning the 1940s and 1950s, has died. She was 99. Stevens died Wednesday night at her Manhattan home, said her son, Nicolas Surovy. Stevens started singing with the Met in 1938, on tour in Philadelphia. Among her greatest roles was the title character in the opera "Carmen," which she sang for 124 performances. The Met called her "a consummate artist, treasured colleague, and devoted supporter of the company for 75 years." Stevens knew that the soaring notes and huge themes of opera "was her medium," Surovy said. "She knew it, felt it, lived it." Always one to chart her own way, Stevens turned down an early chance to sing at New York's Metropolitan Opera when she felt she needed more study in Europe. She turned her back on Hollywood in the 1940s after roles in two successful films because she loved opera so. And in 1961, she retired from performing opera, saying she wanted to bow out when she still had a great voice. "It always bothered me, these great singers when I heard them again and again, remembering how magnificent they sounded once and no more," she said. While she largely left performing behind, she remained active behind the scenes as an administrator of a touring opera company and as an educator, helping to foster the growth of opera across the country and the rise of singers trained in the U.S.
Music Director and Conductor Piotr Gajewski and the National Philharmonic, in residence at the Music Center at Strathmore, today announced its 2013-2014 concert season featuring superstar violinist Sarah Chang performing Vivaldi’s Four Seasons; cellist Zuill Bailey playing the complete cello works of Robert Schumann; and pianist Brian Ganz, continuing his cycle of music by Chopin. The season will also showcase the music of Handel, Bach, Mozart, Beethoven, Schubert, Verdi, among others. In its tenth year of residency at the Music Center at Strathmore, the National Philharmonic is performing to nearly 50,000 people each year. The Philharmonic will continue its commitment to education and outreach by offering free concerts to every second and fifth grade student in Montgomery County Public Schools, free pre-concert lectures, master classes with renowned guest soloists and high quality summer string and choral programs. For the fifth year, National Philharmonic is offering its subscribers a flexible custom series. This allows subscribers to create their own packages and receive discounts of 15-30% on tickets, depending on the number of concerts that are ordered. Season and subscription information are available at nationalphilharmonic.org or by calling 301-581-5100. Single tickets will be on sale in August 2013. Plus, 92Y debuts by accordionist Julien Labro, guitarists Xuefei Yang and Oscar Ghiglia, Kremerata Baltica, soprano Christine Brandes, pianists Olga Kern, Jenny Lin and Vijay Iyer, and the Cypress String Quartet. Returning artists include pianists Jonathan Biss, Yefim Bronfman, Jeremy Denk and Peter Serkin, cellist Steven Isserlis, and guitarists Eliot Fisk, David Russell and Jason Vieaux, among many others. Subscription packages are available at www.92Y.org/Concerts or 212-415-5500. Single tickets on sale July 2013. The Music Institute of Chicago is pleased to welcome two new faculty members, cellist Richard Hirschl and violinist Ilya Kaler, to its prestigious Academy program for gifted pre-college musicians. Founded in 2006, the Academy’s instructional model places significant focus on the student-teacher relationship. The 25 carefully assembled faculty members include teaching artists with a passion for developing young talent and established reputations for nurturing student achievement. Richard Hirschl earned undergraduate and graduate degrees from The Juilliard School, where he studied with Leonard Rose and Channing Roberts. He went on to serve as an associate teacher at Juilliard before moving to Chicago and joining the Chicago Symphony Orchestra’s cello section in 1989. Ilya Kaler, currently professor of violin at DePaul University, has won Gold Medals at three of the world’s most prestigious competitions: Tchaikovsky, Sibelius, and Paganini. He earned undergraduate and graduate degrees from the Moscow Conservatory. He served as concertmaster of the Rochester Philharmonic Orchestra as well as guest concertmaster with the Aspen Music Festival and the Philadelphia, San Francisco, and Baltimore Orchestras. Spring auditions for the 2013–14 Academy session take place Thursday, April 25, 3–8 p.m. at the Music Institute’s Thoresen Performance Center, 300 Green Bay Road, Winnetka. Additional auditions take place on Sunday, April 28, 12–4 p.m. at the Music Institute’s Lake Forest Campus, 40 East Old Mill Road. For more information, visit musicinst.org/academy. ArtistWorks Classical Campus is the first and only interactive, worldwide online learning community for classical musicians, offering aspiring professionals and enthusiastic amateurs the unprecedented opportunity to take lessons with esteemed soloists, conservatory teachers, and principal players of leading orchestras (including the Philadelphia Orchestra, Los Angeles Philharmonic, and Pittsburgh Symphony) in a virtual master class setting. Seven instruments are currently available for study: violin, piano, flute, clarinet, horn, trumpet, and guitar. ArtistWorks democratizes classical music education, allowing students anywhere in the world access to lessons with top-tier teaching artists, removing the barriers of time, location, and cost. Membership in the ArtistWorks Classical Campus is offered at an affordable $90 for 3 months, $150 for 6 months, or $240 for 12 months. The ArtistWorks Classical Campus includes instructors Jeffrey Khaner (Principal Flutist, Philadelphia Orchestra, Curtis Institute); David Bilger (Principal Trumpet, Philadelphia Orchestra, Curtis Institute, University of Georgia, Temple University); Ricardo Morales (Principal Clarinetist, Philadelphia Orchestra, Curtis Institute, Juilliard, Temple University); William Caballero (Principal French Horn, Pittsburgh Orchestra, Carnegie Mellon University School of Music); violinist Nathan Cole (First Associate Concertmaster, Los Angeles Philharmonic); guitarist Jason Vieaux (Curtis Institute, Cleveland Institute of Music); and pianist Christie Peery (Peabody Institute). The Classical Campus uses ArtistWorks’ Video Exchange™ Feedback Platform, which combines the best of online learning with the best of face-to-face lessons. Membership provides students with unlimited access to a comprehensive collection of streamed video music lessons. Each expert teacher has personally developed their curriculum through the ArtistWorks school, resulting in hundreds of illuminating online lessons that explore technique and fundamentals, etudes, key orchestral excerpts, and solo repertoire. When students want feedback, they submit videos of their own practices sessions, and receive video responses from their teachers with personalized guidance. All online student-teacher interactions are visible to the entire membership, resulting in a virtual master class where each student can benefit from one-on-one teaching. Instructors of the ArtistWorks Classical Campus are motivated by a desire to share knowledge of their instruments with as wide an audience as possible – from high school and college students preparing for auditions, to amateurs who studied in their youth but pursued other professions, to aspiring multi-instrumentalists. Within their ArtistWorks schools, students are encouraged to participate as much as they like – chatting online, posting questions and comments to forums about their instrument, and even seeking out others to play music with in person, fostering a diverse virtual community centered around students’ common goals of learning and improving their musicianship. For more information, visit www.artistworksclassical.com. Back by popular demand, “The Legend Of Zelda: Symphony Of The Goddesses” returns to Davies Symphony Hall on June 10 with breathtaking new material. As part of the global “The Legend of Zelda: Symphony of the Goddesses” tour” for 2013, the acclaimed concert will revisit Davies Symphony Hall on June 10 and once again capture the hearts of video game enthusiasts and music lovers. Following the huge success of the tour in 2011 and 2012, concert goers in Bay Area will be able to journey back to Hyrule and enjoy a new season of breathtaking new material exploring even more chapters from the Zelda franchise, in addition to the beautifully orchestrated four-movement symphony from last season. Based on one of the most popular and beloved video game series of all time, the tour—which has been hailed as a modern classic—features live orchestral performances of theme music from Nintendo's The Legend of Zelda franchise. The name "Symphony of the Goddesses" refers not only to the concert program but also to the four-movement symphony recounting the classic storylines from The Legend of Zelda: Ocarina of Time, The Legend of Zelda: The Wind Waker, The Legend of Zelda: Twilight Princess, and The Legend of Zelda: A Link to the Past. Eímear Noone will conduct the full orchestra with arrangements by music director Chad Seiter. “Last year’s Zelda concert in San Francisco was truly magical,” notes Jason Michael Paul, CEO of Jason Michael Paul Productions, which is producing the concert tour. “Now, we are thrilled to return to Davies with incredible new material. Plus, I live in the Bay Area, so this is a sort of wonderful hometown show for me as well as the concert series,” adds Paul. Guests will relish in their favorite moments from the game, carefully and beautifully timed with a gorgeous orchestral score approved by Nintendo sound director and Zelda franchise composer, Koji Kondo. The concert is a festive experience for all walks of fans, some of which have been known to attend donning green tunics while wielding legendary master swords. Cosplay encouraged! Mischa Bouvier and Mary Wilson to perform Bach and Handel, May 3 - 6, 2013 in Belvedere, Berkeley, San Francisco, and Davis, California. Our 2013 main subscription series will close in early May with a program that features two brilliant vocal soloists in the title roles of Handel's dramatic and exquisite cantata Apollo and Dafne, written when the composer was in Venice. Soprano Mary Wilson, whose performances in December of Handel's Messiah and motet, Laudate pueri, were nothing less than phenomonal, will also sing Handel's motet, Silete venti. And baritone Mischa Bouvier, "discovered" by ABS at our 2010 Academy, will perform a group of bravura Bach arias that also feature ABS flutist Sandra Miller, 'cellist William Skeen, violone player Steven Lehning, and organist Corey Jamason. The next month, the 2013 FESTIVAL features mastworks by Bach, Handel, and Biber, July 12 - 21, 2013, at the San Francisco Conservatory of Music. This year’s American Bach Soloists Festival and Academy will focus on masterworks by Bach and Handel and the rich tradition of musical splendor and imagination from the pens of Heinrich Biber, Johann Schmelzer, and Georg Muffat. A program, called "The Glories of Salzburg," will feature Biber's 53-part polychoral extravagance for nine different groups of instruments, probably the largest-scaled surviving work from the Baroque period. First performed in Salzburg's stunning cathedral by "choirs" of trumpets, trombones, strings, cornettos, viols, recorders, oboes, continuo instruments, and two eight-part vocal ensembles, this rare performance will feature the combined forces of the American Bach Soloists and Academy members. Other large works by Heinrich Ignaz Franz von Biber, one of the most celebrated and demanding composers of the 17th Century, will be performed. ABS musicians will present chamber works by Bach and Telemann, among others, and Handel’s Esther, known as the first English oratorio, will be performed by members of the 2013 Academy. Distinguished Artist Tanya Tomkins will present a solo recital and free public lecture/demonstrations on Bach’s Suites for Solo Violoncello. And, each Festival weekend will culminate with a performance of Bach’s magnificent Mass in B Minor. More than a dozen free events are offered. FESTIVAL: July 12 - 21, 2013 at the San Francisco Conservatory of Music. The Orion Ensemble, winner of the prestigious Chamber Music America/ASCAP Award for Adventurous Programming, concludes its 20th Anniversary Season with “Folk Inspirations with a Mexican Flair,” welcoming back violinist-violist Stephen Boe and featuring a 20th anniversary commission by jazz musician Miguel de la Cerna. Performances take place May 5 at Fox Valley Presbyterian Church in Geneva, Il, May 8 at Roosevelt University’s Ganz Memorial Hall in Chicago, and May 12 at Music Institute of Chicago’s Nichols Concert Hall in Evanston. Two delightful, though very different, works by Mexican composers provide a hint of the breadth of music coming from the U.S.’s neighbor to the south. Mexican composer Manuel Ponce wrote his Piano Trio (Romantico) in 1912, the same year he composed his well-known song “Estrella.” He is responsible for musically bringing the world to Mexico and Mexican music to the world through his compositions, performances and lectures. He had a long association with guitarist Andreas Segovia, and his music employs a range of styles, including romantic, nationalistic, impressionist and avant-garde. Several generations after Ponce, Arturo Márquez’s Zarabandeo for Clarinet and Piano reflects his interest in dance music from Cuba, as well as his family background in mariachi and Mexican folk music. Its rhythmic play gives a feel of improvisation and a sense of joy and freedom. In addition to works for orchestra, he wrote ballet and film music, and he continued to use Mexican, Cuban and Latin American musical resources, combined with rhythms and melodic ideas from 20th century popular urban music. Johannes Brahms’ Quartet in G Minor for Violin, Viola, Cello and Piano, Op. 25, one of two referred to as the Hamburg Quartets, shows characteristics of the young composer, along with hints of the more mature Brahms. For example, like many of his early works, the movements are large and have many themes. Although the textures are thick, with the piano and strings often doubling or contrasting each other, there are hints, especially in the second movement, of the more mysterious and somber colors that became characteristic in his later oeuvre. The third movement combines lyricism with grandeur, and the final “Gypsy” movement is among the most exciting in the repertoire. The Orion Ensemble’s “Folk Inspirations with a Mexican Flair” concert program takes place Sunday, May 5 at 7 p.m. at Fox Valley Presbyterian Church, 227 East Side Drive in Geneva, Il; Wednesday, May 8 at 7:30 p.m. at Roosevelt University’s Ganz Memorial Hall, 430 S. Michigan Avenue in Chicago; and Sunday, May 12 at 7:30 p.m. at Music Institute of Chicago’s Nichols Concert Hall, 1490 Chicago Avenue in Evanston. Single tickets are $26, $23 for seniors and $10 for students; admission is free for children 12 and younger. A four-ticket flexible subscription provides a 10 percent savings on full-priced tickets. For tickets or more information, call 630-628-9591 or visit orionensemble.org. Distinguished Concerts International New York (DCINY) and the New York Opera Studio (NYOS) present the Finalist Concert of the 3rd edition of the Nico Castel International Master Singer Competition on Monday, April 1 at 8:00 pm at Weill Recital Hall at Carnegie Hall. Chosen from an outstanding field of up-and-coming singers, eight candidates have been invited to perform one oratorio selection and one opera aria on the evening’s concert program. At the conclusion of the Finals Concert, one male and one female singer will be declared this year’s Master Singers. The Nico Castel International Master Singer Competition for aspiring singers (from age 21 with no upper age limit) who wish to advance their careers to the next level, acknowledges excellence in vocal technique and artistry in the fields of opera and oratorio. The competition is overseen by the legendary artist and scholar Nico Castel, a member of the Metropolitan Opera Company for 40 years. The undisputed and internationally acclaimed expert on language, diction and style for singers, Mr. Castel is currently on the faculty of The Juilliard School of Music and teaches master classes for singers at universities and opera companies throughout the world. Joining Mr. Castel on the Finals Jury are Jonathan Griffith, DCINY Co-Founder, Artistic Director and Principal Conductor with over 25 years of conducting experience across the globe; Metropolitan Opera conductor Paul Nadler; opera conductor Lucy Arner; Piano accompanist and Manhattan School of Music Faculty member Tom Muraco; and soprano Jennifer Ringo Conlon. Each 2012 Nico Castel International Master Singer will be awarded a $1,000 prize in addition to a soloist role in a major choral masterwork with orchestra in an upcoming DCINY Concert Season. Most recently, 2012 male winner, baritone LaMarcus Miller was featured in Karl Jenkins’ The Armed Man, presented at Carnegie Hall in January. The audience will also have the opportunity to show their appreciation by texting their vote for “Audience Favorite” during the intermission. Founded by Iris Derke (General Director) and Jonathan Griffith (Artistic Director and Principal Conductor) Distinguished Concerts International is driven by passion, innovative vision, a total belief in its artists, and unwavering commitment to bringing forth unforgettable audience experiences. Tickets: www.carnegiehall.org or 212-247-7800 or in person at the Carnegie Hall Box Office. Helmuth Rilling will celebrate his 80th birthday and his concluding season as founding artistic director of the Oregon Bach Festival with a total of 60 events between June and July 14th 2013 and on July 6th the Stuttgart-born Bach expert will ceremoniously pass the Festival’s leadership on to his successor Matthew Halls in a concert where the pair share the podium. Rilling will conduct the Brahms Double Concerto for violin and cello in the first half of the program and Matt Halls steps forward in the second half to conduct Mendelssohn’s Psalm 95 and Brahms’s Schicksalslied (Song of Destiny). Halls, who was designated as the OBF's next artistic director in 2011, also conducts "A Night at the Opera" July 2 as the centerpiece of three concerts honoring the anniversaries of Verdi, Wagner, and Benjamin Britten. Soprano Tamara Wilson is featured in the opera program, which includes, from Verdi, Pace, pace, mio Dio from La Forza del Destino and Ernani! Ernani, involami from Ernani; Wagner's Prelude & Liebstod from Tristan and Isolde; and the Four Sea Interludes and arias from Britten's Peter Grimes. An "Anniversary Soiree" July 1 showcases OBF vocal soloists in works by Britten and other celebrated composers with 2013 milestones: Lutoslawski, Poulenc, and Hindemith. On July 3 the piano duo of Ya-Fei Chuang and Robert Levin explore piano transcriptions, souvenirs, and fantasies of Verdi and Wagner themes. In the case of the British conductor Matthew Halls, the description “versatile” is more than richly deserved. Halls first came to prominence as an acclaimed keyboard player, but was soon conducting regularly. Now, he has established himself in Europe as one of today’s leading young conductors, and is rapidly gaining an equally enthusiastic following on podiums in North American concert halls and opera houses. Mr. Halls has been named Artistic Director Designate of the renowned Oregon Bach Festival, where he will take over from founding Artistic Director Helmuth Rilling following the 2013 season. Beyond the early music repertoire with which he launched his conducting career, Halls has demonstrated equal skill as a conductor of later Germanic works, particularly Mozart, Beethoven, Brahms, Schumann and Schubert. His interpretation of Beethoven’s “Eroica” Symphony was called a “brilliantly rich and rewarding rendition” (Exeter Express and Echo), and in his reading of Mozart’s “Paris” Symphony with the Norrköping Symphony Orchestra, “he reconciled elegance and pomp in the first movement, emphasized the graceful in the second and gave the last a seal of skittish vitality” (Ösgöta Correspondenten). Upcoming programs in Dublin, Houston, and Washington DC will include works by Ravel, Dutilleux, Vaughan-Williams, Beethoven, Dvorak and Rachmaninov, and he is moving increasingly into explorations of the choral and orchestral works of his countrymen Benjamin Britten, William Byrd, and Michael Tippett. American Opera Projects (AOP) announces the return of its popular Composers & the Voice program for its 2013-14 season. Created and led by Composers & the Voice Artistic Director Steven Osgood, six composers or composer/librettist teams will be selected for a year-long fellowship, working with the company's Reside nt Ensemble of Singers and Artistic Team. Applications and additional information can be found at AOP's website www.operaprojects.org/composers_voice. The deadline for applications is May 17, 2013. All sessions will be at AOP's home base in Fort Greene, Brooklyn. The primary focus of Composers & the Voice is to give composers and librettists experience working collaboratively with singers on writing for the voice and opera stage. The workshop sessions between September 2013 and April 2014, include composition of solo works for six voice types (coloratura soprano, lyric soprano, mezzo-soprano, tenor, baritone and bass) and "Skill-Building Sessions" for composers and librettists in acting, improv games, and libretto development, providing an in-depth and firsthand knowledge of how singers build characters, act in scenes and sing text. "I can think of no better forum for a composer with a passion for learning the traditions of so-called progressive American opera theater than AOP's program," said opera composer and guest C&V instructor Daron Hagen. Previous seasons of Composers & the Voice have featured guest lectures from notable artists such as composer Mark Adamo (Little Women, Lysistrata) and librettist Mark Campbell (Volpone, Later That Same Evening). Past "Composer Chairs," sponsorships named in honor of mentors and their support of Composers & the Voice, have included Mr. Adamo and composers John Corigliano, Tan Dun, Daron Hagen, John Musto, Richard Peaslee, Tobias Picker, Kaija Saariaho, Stephen Schwartz, and the late Lee Hoiby. At the end of the program, AOP will present the results of the participants' work in public performances - First Glimpse, a concert of songs in Spring 2014, and Six Scenes, an evening of short opera scenes in Fall 2014. One of these operas-in-progress will be selected to receive a staged reading at Manhattan School of Music in Spring 2015. AOP has an eight-year relationship with Manhattan School of Music Opera Studies Program, in which students work alongside the composer and librettist and other professionals provided by AOP. Also, Theme and Variations, Scherzo, Capriccio, Fugue; Schubert: Quartet Movement in C minor, D703. 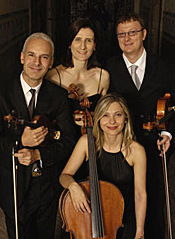 Quartetto di Roma. La Bottega Discantica 225. One cannot judge any group of performers merely on how precisely they play together or even on how virtuosic they can be; one must also take into account how expressively they respond to one another, how well the separate voices combine and interact. 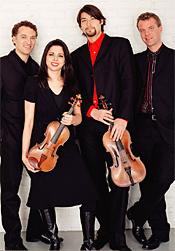 In all of these regards, the Quartetto di Roma, founded in 1995, succeed well. The group’s members--Marco Fiorini and Biancamaria Rapaccini, violins; Davide Toso, viola; and Alessandra Montani, cello--say their desire is to continue the distinguished Italian quartet tradition. The players begin the album with Felix Mendelssohn’s String Quartet No. 2 in A minor, Op. 13, which the composer wrote in his youth, beginning it around 1827 and completing it in 1832. He said he wrote it in tribute to the death of Beethoven and based it on a song he had recently written. The Quartet No. 2 may be an early work, but it is mature in tone, and the Quartetto perform it with a warm, easygoing grace. The first movement comes off as particularly captivating in the Quartetto’s hands, lyrical and flowing. They handle the slow, second-movement Adagio non lento, eloquently. The Intermezzo seems appropriately serious though not quite as cheery or as folklike as I’ve heard it done. And the Presto finale strikes me as appropriately melodic, intense, and serene. The interaction among the Quartettto di Roma members appears cultivated by years of association and offers the listener a polished, harmonious presentation. Their playing sounds relaxed in a cultured, civilized manner, making for easy and obviously pleasurable listening. 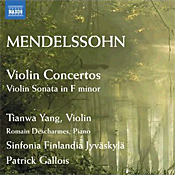 By coincidence, not long before my listening to the present album, I listened to and reviewed another recent recording of Mendelssohn’s String Quartet No. 2, one by Quatuor Ebene on Virgin Classics. I won’t try to play favorites here or steer you to one or the other disc, but I will say the two performances are somewhat different in style and sound. The Quartetto di Roma appear smoother and more refined, Quatuor Ebene more robust and individualistic, with a tad cleaner recording. Which rendition you prefer may depend on what mood you’re in. 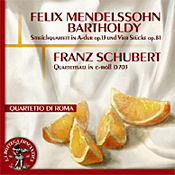 Filling out the Quartetto di Roma disc are several more, shorter chamber pieces by Mendelssohn and the single-movement Quartet in C minor by Franz Schubert. Mendelssohn’s Theme and Variations, Scherzo, Capriccio, and Fugue date from a period spanning about twenty years, but Mendelssohn’s publisher collected and released them under the single opus number 81. They are all delightful, of course, especially the unfinished Schubert movement and the Scherzo with its similarities to A Midsummer Night’s Dream, yet I would have preferred another single, longer work instead, another quartet perhaps. As it is, the disc contains less than an hour of music. Discantica chose to record the music in 2009 at the Church of San Sebastiano al Palatino, originally a tenth-century basilica dedicated to Saint Sebastian, rebuilt in the seventeenth century and located on Rome’s Palatine Hill. It’s obviously a place with much history, and it makes a fairly good recording location for the chamber music of Mendelssohn and Schubert. There’s a mild reverberation present but never so much as to cloud or veil the sound too seriously. Mostly, the venue imparts a sweet warmth to the occasion, a pleasing resonance. The miking is relatively close, so the instruments loom somewhat large, and the group does tend to spread out across the room. While it’s not as realistic or as transparent as I’d like, the recording provides a big, impressive sonic picture.